Whether it is in the private or the public sector, underrepresentation of women is a significant issue globally. The number of women in parliament or in government the world in 2017 has been just over 20%. I believe a balanced representation of women in politics could serve as a tool to tackle the mistrust in the political system. In order to break stereotypes, pressure and lack of confidence, we have to expand fascinating successful stories and to promote good examples. We also need to encourage them to be vocal and to show their admirable achievements. 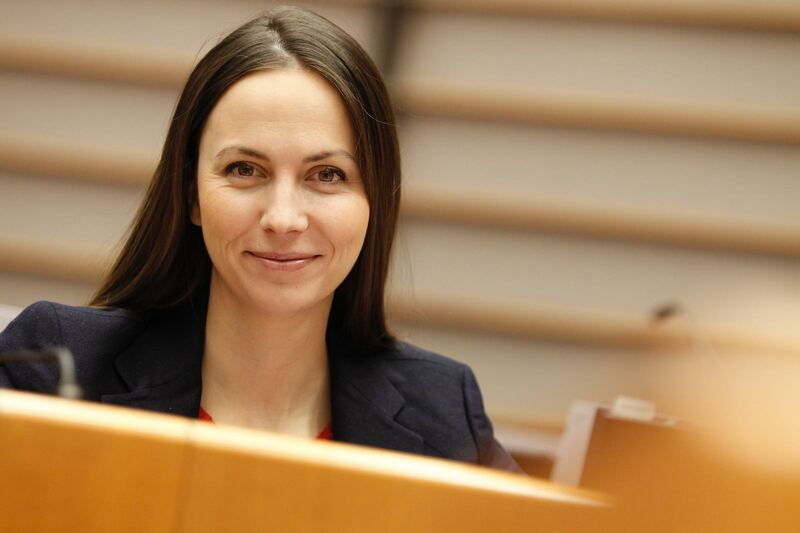 As one of the 17 Members of the European Parliament for Bulgaria, which is also the country currently holding the Presidency of the Council of the EU, what are the main initiatives recently put in place by your country to empower women? My country is actually doing very well when we talk about gender equality. Between 2015 and 2017 we have climbed up 10 seats in the European index for gender equality. The minister for the presidency Mrs Liliyana Pavlolva is personally a role model to me. She has a very visible position currently, so I am sure that this will contribute to more women empowerment. According to the Global Gender gap index Bulgaria is also scoring very well. When it comes to women in leading positions in politics, government officials and managers Bulgaria is after Norway but before countries such as Australia, Estonia, the UK and Portugal. This improvement is thanks to the revision of the gender balance act and because of the continuous effort of the governments of Prime Minister Boyko Borissov to appoint women in leading positions. Gender equality and women’s empowerment are a key priority for the European Union. In this perspective, what are the main tools the EU has to ameliorate the situation of women? The European Union should play as an example for having balanced representation. In parliament, in the Commission, it is necessary to have women chairing committees and working groups. I am happy that the Committee I am member of the Internal market and consumer protection is actually having only women in the Board. This is the other extreme, yet, it is a good beginning. The EU must be a leader in promoting women to take senior positions. When organising conferences and any other events, we must seek for balance on the discussion panels. I am ambassador of the Brussels Binder network and I believe that having a pool of women experts in different fields is great for women’s participation in the social life. In November 2017, you have been elected President of European Movement International – the first woman to hold the position. What are your priorities in fulfilling your role? Yes, indeed, I am the first woman elected as a President of the EMI which is both a great challenge and a privilege. Women participation is crucial for the idea of diversity and prosperity. I would like to bring fresh skills, different perspectives, structural and cultural difference to drive effective solutions across Europe. I think we have a different energy which can accelerate positive changes and help advancing European issues from another angle. For example, I believe that women are great communicators because we have a natural instinct to build relationships and to negotiate. Furthermore, we are very good at multitasking between work and home tasks, which means that we are able to prioritize and to organise rapidly. All these traits are essential for a leader’s position, not just in term of articulating a vision but also to respond to issues in effective ways. Recently I was a member of a jury of Women of Europe Awards, organised by EMI, where we honoured women striving to advance the European project in their professional or private capacity. I would like to see more initiatives highlighting the contribution of women in promoting and advancing European issues, to increase their invaluable presence in debates and to be the shining light of our progress. What’s important for me as a President of the EMI is to encourage women, men, young people to speak and share their ideas, hence to be the driving force when it comes to shaping the European Union we want to live in. What would be your message to women willing to enter politics? There are many talented and powerful women in politics who are role models showing good example. Leadership doesn’t come overnight. Modern working women in politics have to face many challenges alongside her career, like complex choices that we have to make every day or mistakes that actually help us growing. I encourage next generations interested in politics to engage and not to be afraid to become leaders because they can only change our politics. Today there are more young MEPs than before who, and I can assure you of this, are well-respected by their elderly colleagues. Let’s be ambitions, act now and deliver gender balanced panels, gender balanced electoral lists, gender balanced governments and parliaments.